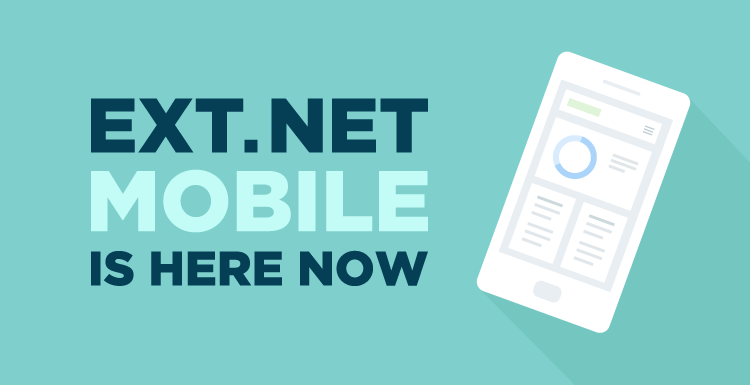 Ext.NET Mobile is now available. Ext.NET Mobile can be installed into an ASP.NET Web Forms or MVC application using either of the following NuGet commands. The -pre flag is no more required. If you are new to Ext.NET Mobile, we would recommend reading the blog post announcing the Beta release. The beta announcement blog post provides a good overview of the key details on Ext.NET Mobile framework. Since the Beta release, there have been no big changes in the framework. We have been focused on reviewing feedback from the community, fixing any defects that were discovered, and polishing the framework according to that feedback. Several community members pointed out minor differences in the behaviour between Ext.NET and Ext.NET Mobile. In order to ensure Ext.NET Mobile felt immediately familiar, one of the primary goals of Ext.NET Mobile was to keep as much of the API and functionality between the frameworks as similar as we could. The feedback from the community helped us with this goal. For example, in Ext.NET Mobile the Grid Column required an explicit Column Width setting, which was different behaviour than Ext.NET. It was not a problem for us to also set up a default Width on a Column in Ext.NET Mobile, thereby harmonizing the expected results across both frameworks. Another example is related to a Grid Column again. Within Ext.NET, just setting a Column Editor config was enough to trigger the Column to be editable, although in Ext.NET Mobile setting Editable="true" was also required (see forum thread). No more. It is now the same as Ext.NET. Each of these improvements are tiny, but there were many others, and taken together they will make a big difference in efficiency for Ext.NET developers. Razor helpers are an essential part of ASP.NET MVC support in Ext.NET Mobile. There were also improvements made here since the Beta release. Yet another set of MVC support improvements came from our work on the new MVC examples. At the time of the Beta release, the Ext.NET Mobile MVC Examples Explorers included only a handful of examples. Our goal is to mirror the samples in both the Web Forms and MVC Mobile Examples Explorers, and since the Beta release we have added many more MVC examples. Working with the MVC Examples Explorer was a good opportunity to improve and polish MVC support by adding new convenient Razor helpers and fixing several defects that were uncovered in the process. Ext.NET Mobile is FREE for all Ext.NET 4 Enterprise license holders. If you are licensed for Ext.NET 4, you are now also automatically licensed to use Ext.NET Mobile and to deploy applications using the framework. Your Ext.NET 4 license key will unlock both Ext.NET and Ext.NET Mobile. We want to send out a huge thanks to all the early adopters of Ext.NET Mobile. The feedback you provided was extremely helpful in preparing the final release. Thanks! Please let us know if you discover any issues, or have suggestions for improving the framework. Technical support questions are best asked in the forums where new Ext.NET Mobile Premium and Community Help forums have been added.